All the results and scorers from the fifth round of the NRL Telstra Premiership. 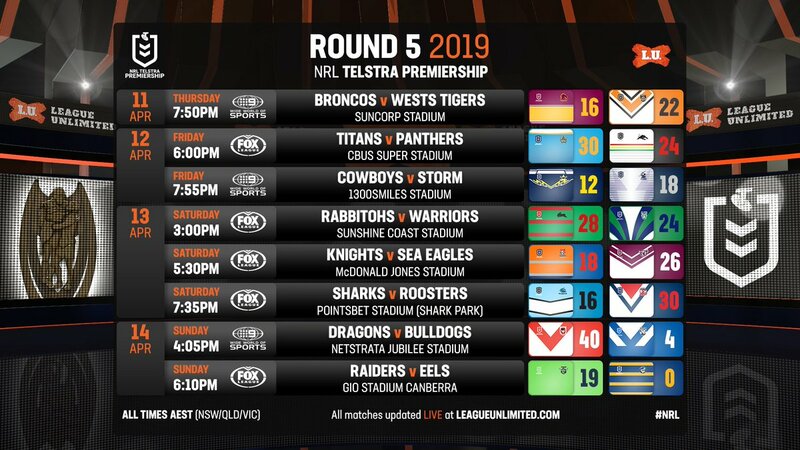 RELATED: See the full list of 2019 NRL Telstra Premiership Draw and Results. RELATED: Click here to view the current NRL Telstra Premiership ladder. Follow @LeagueUnlimited on Twitter. More articles from LeagueUnlimited Team.